UAE is advancing rapidly towards altering its economic direction from moving towards knowledge-based economy instead of previous oil-based one. For this purpose, the government has taken several important steps in recent past. One really important step was providing 10 year residence visa for professionals and talented individuals of various scientific fields. Now, these measures have also been acknowledged internationally. 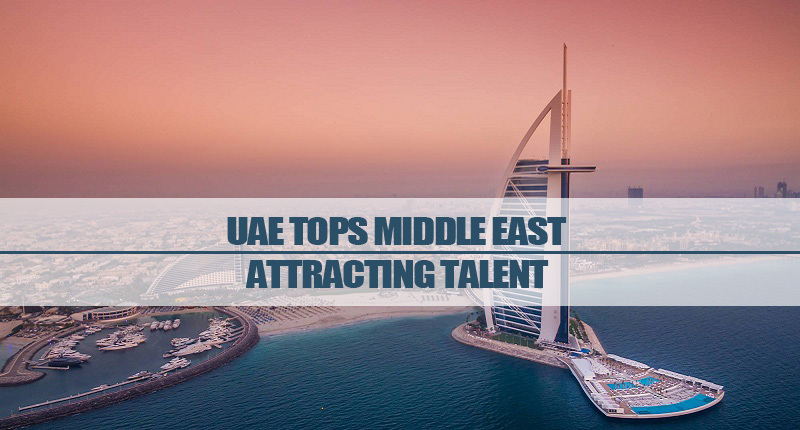 According to the latest listing of Global Talent Competitiveness Index, UAE is on top of the MENA region in attracting young talent. But only becoming best country in this region is not the only point to celebrate for UAE. In fact, the country has achieved a respectable place on global level also. The report says that UAE achieved 17th position among 119 counties that were considered while making this index. As compared to last year’s standings, UAE has improved two points this year that is showing improvement. The standings of other Gulf nations are as follows: Qatar at 23, Bahrain at 38, Saudi Arabia at 41, Oman at 56 and Kuwait at 65th position worldwide. Biggest change in position is seen by Bahrain and Kuwait. Bahrain improved its last year standings by 9 positions while Kuwait performed worst by slipping 8 positions to reach lowest spot in the Gulf region. UAE is not only ahead in the whole Gulf region but in fact the country has bypassed several European countries in this aspect also. Apart from that, UAE is also performing better on several other fronts from these countries including transparency, economic freedom and competitiveness etc. UAE has also performed best on few fronts that helped the country to achieve higher ranking in this index. UAE is best in the world for vocational and technical skills and third best on global level for attracting talent. All these reports, surveys and indexes clearly indicate the forward movement of UAE on right direction. This recent index is a proof of UAE’s best policies for luring talent from different parts of the world. It is really important and encouraging to note that world is open for talented people in various fields, especially on technical subjects, but many are choosing UAE as their preferred location as compared to other countries that also include several European and North American countries. So, if you are a talented person in any educational or scientific field, then one of the world’s best places for you is UAE. You should not miss this opportunity and take advantage of new laws and other incentives provide by UAE to talented persons. You can make this process simple and quick by contacting Riz & Mona Consultancy. We provide visa services in Dubai and other emirates of UAE.